Dr. Robert Kevin McClure is an Assistant Professor in the Department of Psychiatry at The University of North Carolina at Chapel Hill School of Medicine. As an educator with nearly two decades of professional experience, Dr. McClure shines as a luminary in his field by providing leadership and guidance to those he teaches, and providing expertise in the diagnosis and treatment of adult psychiatric disorders. Dr. McClure identifies and treats mood and psychotic disorders in patients and performs research using advanced and sophisticated neuroimaging modalities. Attributing his success to a strong work ethic, flexibility, tenacity, perseverance, and the support he has received from his mentors, Dr. McClure makes every effort to develop a clear understanding of the pathopsychology of psychosis. He has spent more than 17 years honing a refined skill set in the areas of biology and psychology, and he continues to strive for excellence. 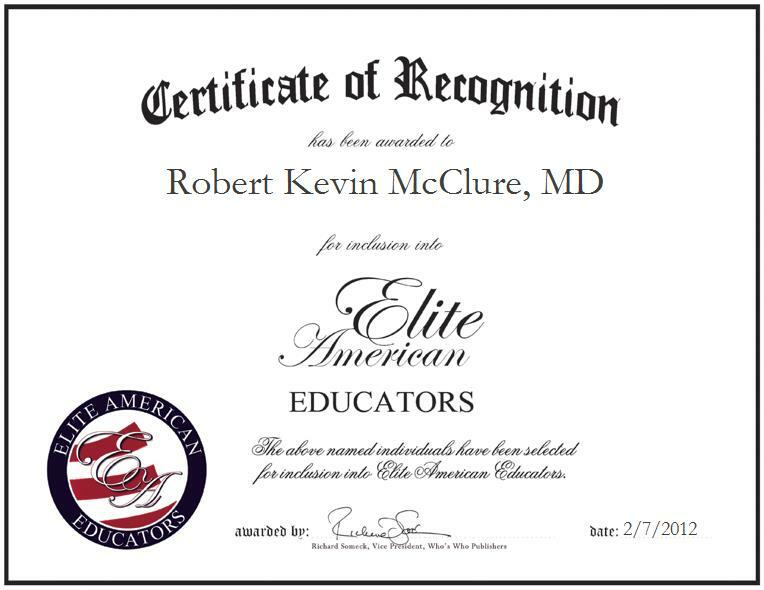 Dr. McClure earned a Bachelor of Science in Biology and Psychology from Stamford University, and an MD from the University of Washington School of Medicine. He completed his residency in adult psychiatry at The University of North Carolina at Chapel Hill, and a research fellowship in Schizophrenia and neuroimaging at The National Institute of Mental Health in Maryland. He also attained Board Certification in general adult psychiatry and an emission computed tomography certification. Dr. McClure feels that the highlights of his career were receiving a research fellowship at The National Institute of Mental Health and completing his training in electroconvulsive therapy.